Media & News Hager's business is booming! 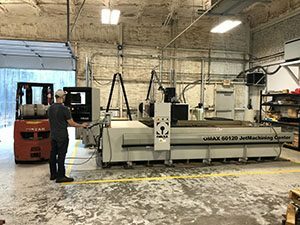 Hager Machine & Tool’s business is booming! We are excited to be a part of the re-energized oil and gas industry. Hager’s customers have been expanding new opportunities with our company. This past spring, Hager hosted an Open House and sponsored the Offshore Industry Crawfish Boil at the University of Houston that led to a lot of business interest. 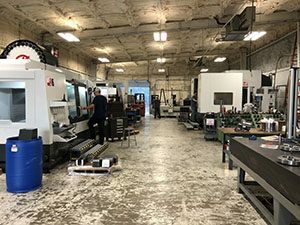 We have been adding new machines and have been re-arranging our shop to ramp up production with 16 new/refurbished machines since 2015. 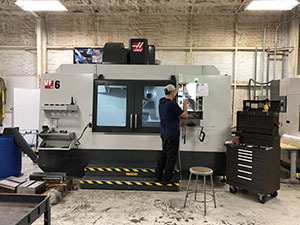 Our newest addition is the HAAS VF6-50 mil. We have added machinists and Bill Six has joined us as a Sr. Quality Inspector, from Celtech our sister company in Carlsbad, NM. Hager is hiring and so is our parent company, Atec! Come be part of an amazing team!